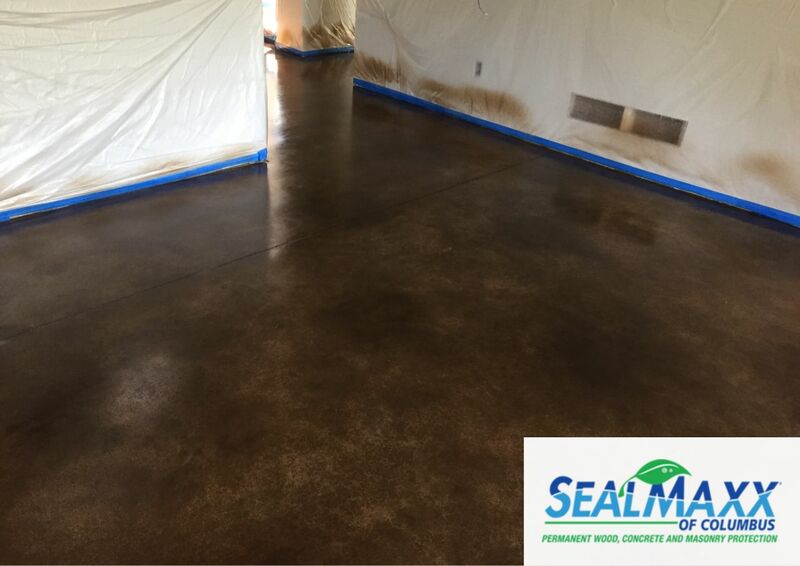 Similar to an acid stain, Concrete Staining is great for basements, showrooms or any interior concrete surface. The stain can either be a single color or two color system to create the beautiful mottled, marble look. A glossy sealer is added to the stain for ultimate protection. The result is a gorgeous floor that will be sure to impress! Concrete stain is a reliable, durable, attractive and long-term solution as a hard flooring surface. Available in a variety of color choices and patterns, this is an excellent solution if you want to give your floor a whole new look. 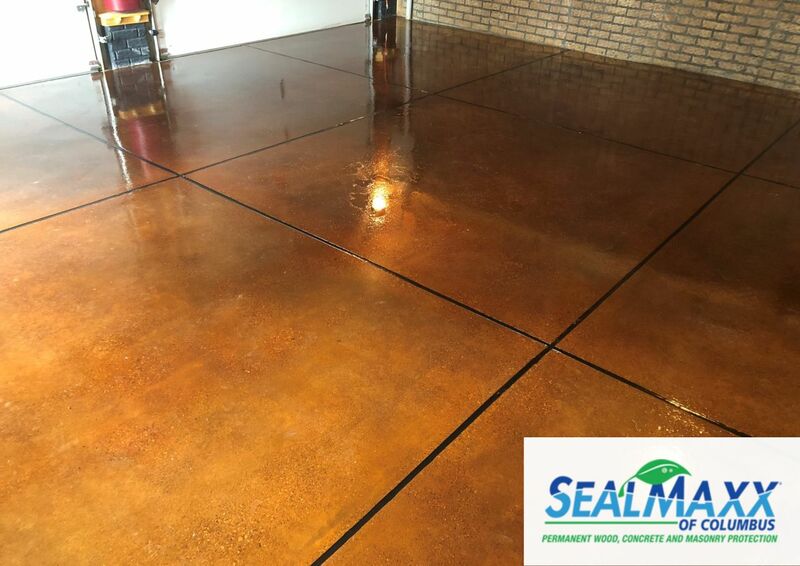 With over 1 Million sq ft of concrete sealed, SealMaxx is the go-to expert in Columbus, Ohio for all your concrete sealing needs including Concrete Stain. Let us help you choose the right floor covering for your residential or commercial requirements. Attractive Finish: Concrete stain give any ordinary concrete surface the luxurious and appealing appearance of much more expensive surfaces like marble, glazed stone and more. Low Maintenance: Concrete stain surfaces are smooth and even making them very easy to clean.